The AET62 from Advanced Card Systems combines fingerprint scanner with contactless smart card reader. A swipe fingerprint sensor from UPEK is used in the device. The same sensor is available in the Eikon fingerprint reader. The contactless (RFID/NFC) smart card reader supports ISO 14443 (Type A and B), MIFARE, FeliCa, and ISO 18092 (NFC) tags. Support modules for this scanner are included in MegaMatcher 11.1 SDK, MegaMatcher On Card 11.1 SDK and VeriFinger 11.1 SDK. 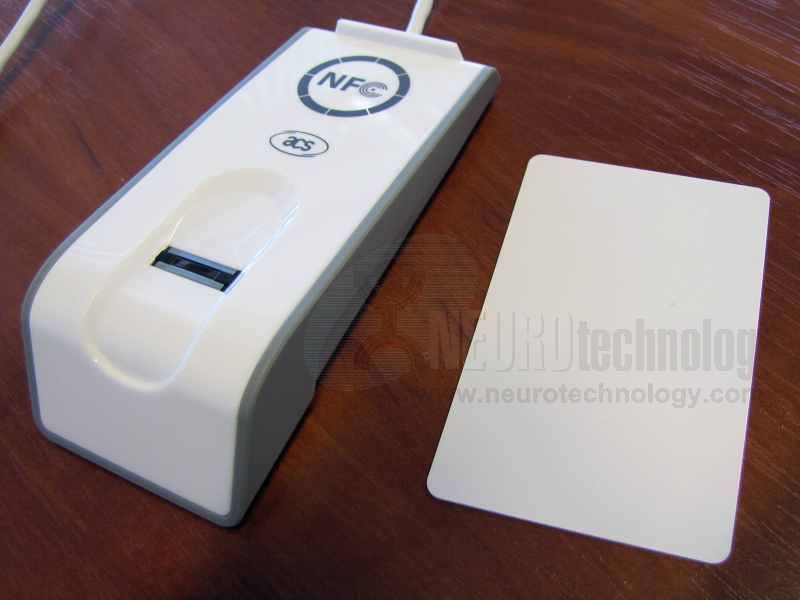 Manufacturer Advanced Card Systems Ltd.
Neurotechnology SDKs also support AET65 Smart Card Reader with Fingerprint Sensor from the same manufacturer.